Moderator Laurent Slaars discusses the challenges of writing music for vocal ensembles with two renowned composers Philippe Hersant and Thierry Machuel, and two up&coming composers Violeta Cruz and Sebastian Androne. Born in 1948 in Rome, Philippe Hersant studied music at the Paris Conservatory, notably in the composition class of André Jolivet. Since 1973 he has been a producer for radio broadcasts with France Musique . With a varied catalogue of around ninety pieces (not counting his scores for the cinema and the theatre), Philippe Hersant has achieved broad recognition on the contemporary music scene. He has received commissions from such illustrious institutions as the French Ministry of Culture, Radio France (Le Château des Carpathes, in 1991, Trio, Violin Concerto; not forgetting that he was the featured guest of the festival Présences in 2004), Paris Opera (the ballet Wuthering Heights, in 2002), Leipzig Opera (the opera Le Moine noir, in 2006), the Orchestre National de Lyon (Streams, in 2000). In addition, the musical world has awarded him many distinctions: Grand Prix Musical de la Ville de Paris (1990), Composers’ Prize from the SACEM (1991), Grand Prix SACEM for symphonic music (1998), Grand Prix of the Del Duca Foundation (2001), and two Music Awards (Victoires de la Musique) in 2005, 2010 and 2016. On 21 January 2017, the Choeur et Orchestre de Paris under Bertrand de Billy premiered his work “La Lumière et l’Ombre. 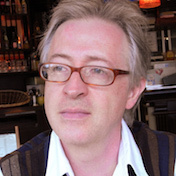 Composer and pianist Thierry Machuel has devoted most of his work to contemporary choral music written on texts in all languages, highlighting the link between poetry, culture and language. His oeuvre now shows a marked interest for testimonials, writings of resistance, texts about experiences of singular lives such as prisoners ( coffret Clairvaux ; Or, les murs… , Grand Prix de l’Académie Charles Cros 2010). He was inhabitant of the Villa Médicis and the Casa Velazquez, recipient of le prix Sacem de la musique vocale 2008, a grant of Fondation Beaumarchais in 2009, a commission for an opera from the Ministère de la Culture in 2010, and the Grand Prix Lycéen des Compositeurs 2011. His choral works are performed in many countries, including being on the set repertoire for the baccalaureat of the French Lycées in 2013. Co-initiator of the project L’Europe de mes rêves in Haute-Normandie, Machuel is involved in many educational activities around resistance and citizenship (oratorios Une femme de parole 2005, Une étoile errante 2006, Voir Ensemble Maintenant 2009-2011, Humanitudes 2012, Les droits et les devoirs du citoyen 2013, …à l’humaine condition …2015). Composer and sonic artist. Her work, including both acoustic and electroacoustic pieces, focuses on the ambiguity between different types of listening—analytical, concrete, emotional. A part of her work is based on the interaction between sonic objects and traditional musical instruments. Studied composition in Colombia at the Universidad Javeriana, and then in France at the Paris Conservatory. In 2007 she received the National Composition Prize of Colombia. 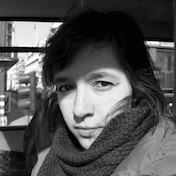 Violeta is currently pursuing the practical training in computer music at IRCAM. Selected performances and exhibitions of her works include Quadrophonia Exposition (FR), Festival Fabbrica Europa (IT), Court-Circuit (FR), Ensemble SurPlus (GER), Duo Sincronía (ESP). Her studies are funded by Nadia et Lili Boulanger International Foundation, France Foundation., and Diaphonique, Franco-British fund for contemporary music. Sebastian Androne was named after J.S. Bach and fittingly took his first musical steps at the keyboard (albeit a tiny electronic one) before switching to the clarinet. It was not long before he found out that his real interest lay with composing. Before twelfth grade, he had finished, among other pieces, a 3-parts symphony, a symphonic poem, a cinematic overture, a ballet…. He still studies composition at the National University of Music in Bucharest, now for his Doctorate in Music. In 2013, he studied a year as an Erasmus student at the Birmingham Conservatoire (UK). For his symphonic piece Tektonum, he won the George Enescu Grand Prix; however, he calls his most prized accomplishment the letter of recommendation written by the composer Aurel Stroe in 2007. 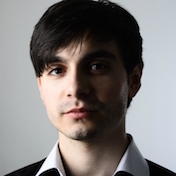 In 2015, Sebastian Androne received Tenso Young Composers Award consisting of a commission for a choral work that will be premiered in 2017. 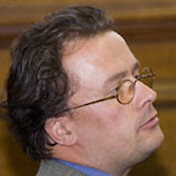 Laurent Slaars graduated from the Sorbonne University of Paris (History and Economics) while studying singing at the Conservatoire National Supérieur de Musique de Paris with Rachel Yakar and William Christie. As a profesional solo singer since 1990, he has performed and recorded extensively in the fields of baroque and XXth Century music with such conductors as William Christie, Christophe Rousset Jean-Claude Malgoire, Laurence Equilbey or Jonathan Nott, also giving first performances of pieces by Iannis Xenakis, Paul Mafano, Hans Peter Kyburz, Bruno Mantovani…. 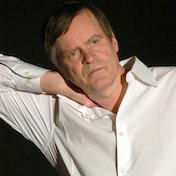 As a musicologist, he writes extensively about composers like Bruckner, Mahler, Busoni, Prokofiev, Shostakovich, Reger, Kodály, Schubert, Prokofiev… At the Paris Théâtre du Châtelet, he has worked as a program note writer since 1996, and from 2003 to 2006 as a pre-concert lecturer. He also appears as a guest musicologist at the Radio-Télévision Suisse (Espace2). He is the French translator of American music critic & writer Alex Ross (The Rest is Noise, Listen to This). He has also translated and updated Harry Haskell’s landmark book The Early Music Revival : A History [Les voies d’un renouveau : la musique ancienne et son interprétation, de Mendelssohn à nos jours ; Actes Sud, 2013).